Here is the Picture Puzzle to test your visual IQ. 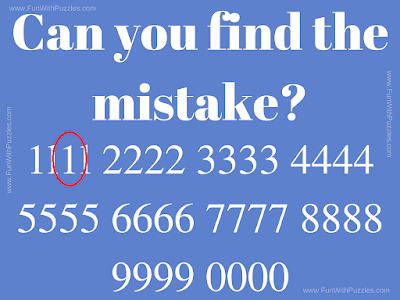 In this Picture Puzzle your challenge is find the mistake in the given image. 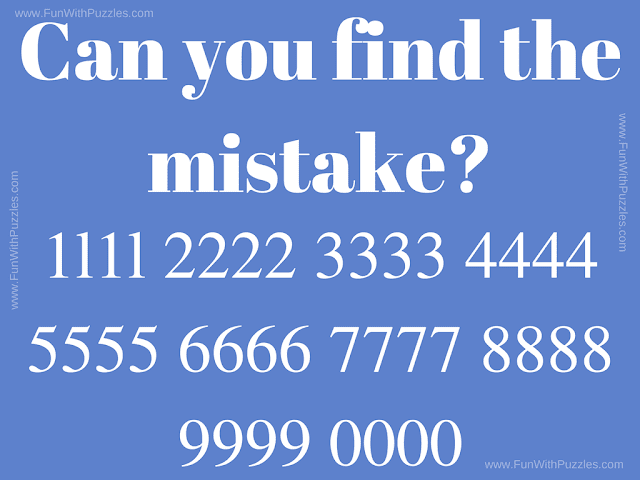 There is something in this puzzle picture which makes some wrong in this picture. 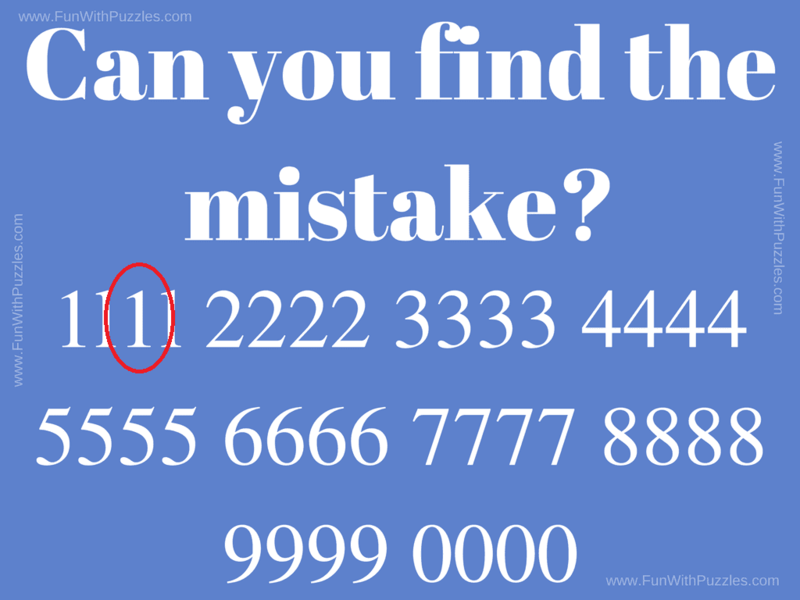 So can you solve this IQ Test picture puzzle and find the mistake in this image? Can you find mistake in this puzzle picture? Answer of this "IQ Test Picture Puzzle", can be viewed by clicking on button. Please do give your best try before looking at the answer. The Answer is marked as below. It is l (L) instead of 1 (one). You need very good observation power to find this mistake. In fact 1st and 3rd character is l (L) instead of 1. Only 3rd one is marked in this picture.